The GCL Solar Battery has landed. GCL made their massive announcement at the Solar Expo in Melbourne in March 2016. What caught everyone’s attention was the price. The 5.6kW battery could be supplied and installed for around $4500. That’s thousands less than a Tesla Powerwall. That’s huge! This puppy is going to sell. But should you buy it? I was in Melbourne on May the 4th when GCL unveiled their new solar battery at the Solar Energy Exhibition & Conference. I caught up with Fin Peacock at beer o’clock. “Did you see the GCL battery today Fin? What’s the catch?” I asked. So we sat down and pulled apart the glossy brochure that they were passing off as the GCL E-KwBe battery specifications. It was just a glossy brochure – but apart from some minor Chinglish, it looked pretty good! Maybe GCL has brought the “game-changer”. This post will first have a quick look at the company called GCL. Next, we’ll pull apart the warranty document. GCL read this blog and contacted me. They changed their warranty to be legible, so I updated this review to suit. Next, I summarize the updated warranty in four points. Finally, this post will discuss whether GCL battery is a good investment, and I’ll suggest a few other solar battery options. Golden Concourse Holdings Limited is a Chinese solar manufacturer that started in 1990. Today it is the world’s largest manufacturer of solar panel cells. That’s the 60 blue squares that make up a solar panel. Hang on, the world’s largest…? Yep, they manufacture and supply the silicone wafers for many Bloomberg Tier-1 solar panels including Trina, Yingli, CSUN, Jinko, Canadian, Hareon, JA, and Suntech. GCL have also built full panels – which were previously only used on large scale solar farms. However this year, they entered the domestic market in Australia with their polycrystalline panels. They believe that they will be ranked as a Bloomberg Tier 1 panel in 2017. In April this year, the GCL Group bought a 51% stake in Australian Solar power system supplier, One Stop Warehouse. 1 Stop warehouse is unsurprisingly the sole Australian supplier of GCL panels and batteries. So you would think that GCL would know what they were doing. But how does the battery stack up? The devil of solar storage batteries is always in the detail. When looking into a battery’s specifications, there are a few things you look at first. Capacity, depth of discharge, charge and discharge rate, degradation and most importantly, warranted cycles. The following looks at the UPDATED warranty document – July 2016. The GCL battery comes in two sizes, the 2.5kW, and the 5.6kW. I would suggest that the 5.6kW battery is token enough, so I won’t bother looking at the 2.5kW. No doubt, slimy salesmen will be out there flogging off the 2.5kW battery for $3000 installed by spruiking grid independence. Unless your power bill is about $100 a quarter, the 2.5kW battery isn’t going to do it for you. Batteries 101. The faster you charge or discharge any battery on a daily basis, the shorter it’s lifetime. Manufacturers will limit the rate at which you can charge and discharge the battery to increase it’s life span. You can charge and discharge the GCL Battery at 3000W. If you have a 5kW solar system, you probably wouldn’t often have more than 3000W of excess solar. At night time, you probably wouldn’t want to discharge it faster than 3000W, or it would be flat in less than 2 hours. The charge and discharge rate of the GCL battery is ok. Batteries 102. Batteries don’t like being run flat. In fact, if the battery would be much happier if only 10 percent of its capacity were used, then it was recharged. The deeper you discharge them on a daily basis, the less charge they will hold. In my original version of this post, I began to tear the GCL battery to shreds at this point. The warranty document was abysmal. Understandably, GCL not overly impressed with what I had to say. To their credit, they got in contact (awkward) and after several versions, we have finally got a logical warranty document. The remainder of this blog has been edited to reflect the changes. The new depth of discharge is fantastic. You can use the full 5.6kWh of the 5.6kWh nominal rated battery. Internally the battery is actually a 7kWh battery that you can use to an 80% depth of discharge. This is what they were claiming verbally but it was not how the document read. Thanks for clearing that up GCL! In the recent update of the warranty documents, the number of cycles was also increased. As the document puts it now, as a “precondition for the valid warranty performance” …”the product will be configured for daily use”. That’s a huge improvement. I guess that means one cycle a day. It’s IP65 which means it can be mounted outside. The old document had a ridiculous 95 percent humidity limitation, but they got rid of that. This was the funny part where GCL had done a “cut and paste” from LG Chem’s document, and accidently copied part of it twice. They fixed up the double up but have left the unintelligible legal garb in there. I prefer to put terms and conditions in plain English – but whatever. It’s a called 5.6kW hr battery because that’s how much you can discharge it daily (on day 1). At two years, you will be able to use 4.87kw per day. At seven years, you will be able to use 4.2kWh a day. You can use it daily. That probably should be interpreted as one cycle a day. This new warranty doc looks fairly attractive. Let’s make this clear. Batteries today are not about getting a return on your investment – but not everything in life is. Having batteries connected to your solar will allow you to have power in a blackout – which is a cool feature when that happens. More to the point, it’s about sticking it to the Electricity company and getting one step closer to energy independence. It’s about being part of the energy revolution and being proud of it. But let’s crunch the numbers anyway. I’m just going with rough figures. I won’t take into account the batteries degradation on the one hand – or the inevitable rise in electricity costs on the other. To prove the point does not require it. These figures are for Brisbane. I’m told the figures work much better in Adelaide and Perth where you can save $1000 a year. I’ll leave other states to crunch their own numbers. In Brisbane, using an extra 5.6kW of your solar power per day will save you about $1 a day (25 cents cost of power minus 6 cents you would have fed in). That’s $3650 in 10 years. Having a GCL battery installed will cost you more than $3650. 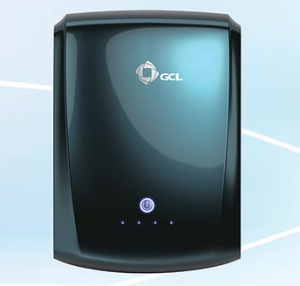 The GCL battery will allow you to join the energy revolution at a reasonable price. While the price is attractive, we all know you get what you pay for. The GCL does not have the active cooling of the enviable Tesla Powerwall, so the battery will not last as long. It does not have the low carbon footprint, high safety, and low degradation of the revolutionary Redflow battery. It’s not coupled with the IOT enabled Redback – as the cost effective Pylontech is. (Pylon’s warranty is currently being updated and I’ll review it as soon as the completed document is released). But the GCL battery does have its place in the market as an entry level battery at an entry level price. So long as the consumer is aware that in spite of its attractive price, it is not going to give them a good return on their investment. The GCL Solar battery appears to be a reasonable battery for a competitive price. GCL are a huge company, so would expect that you could rely on the warranty document. I’ve learned not to assume these things. After several revisions, the GCL battery warranty is now reasonable, though not 100 percent clear. If you are looking for a good return on investment, GCL brings us one step closer, but not close enough. But if you just love the idea of grid independence and have the cash to be part of the battery revolution – the GCL is an option. Personally, I’d be looking at something more interesting like Tesla, Redback or Redflow. 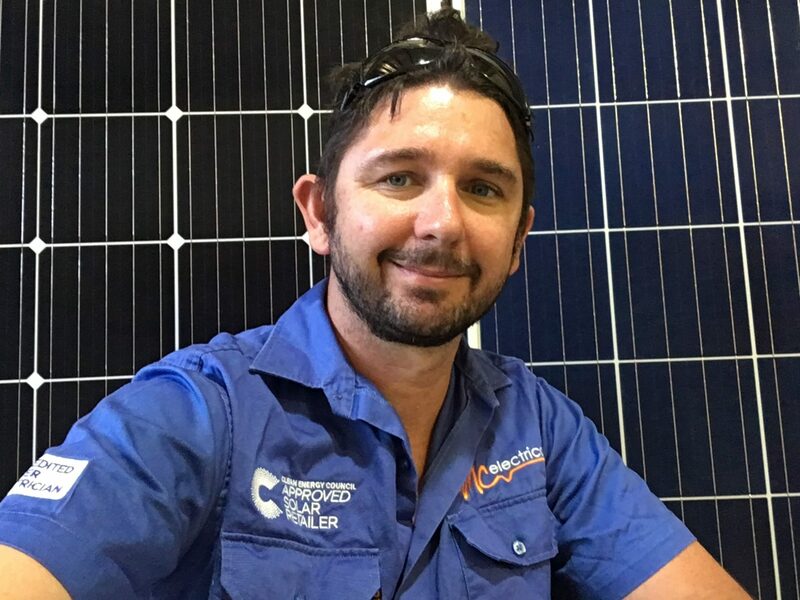 Hi Greg, it's about the communications between the battery and the inverter. First, if you haven't yet installed a GCL battery, don't waste your money. The GCL battery is a lemon. When coupled with a Sungrow Hybrid inverter (a great budget inverter) with the Sungrow backup box, yes, the inverter can "island" and stay online and continue charging your battery in a blackout. I understand that Tesla's gateway allows for the powerwall to continue to be charged by the solar array. Can you verify for me, if the grid goes down does the E-kwbe have a mechanism that allows it to disconnect from the grid and continue charging via the solar array? Hi, Gavin, the short answer is no, I wouldn't recommend using the GCL battery. See previous comments! Excellent analysis and discussion. Would love to hear further update from David and also any news Mark has re improvements in 2017. My question is how suitable is this GCL 5.6 kW for a 2.5 kW stand-alone PV system and a one-person cabin drawing 1.5 - 2 kWhr per day??? Thanks for your comments David. I understand OneStop are aware of this problem. Sorry if the blog lead you to think that I like the GCL. I don't! I'll point to this comment at the beginning of my post. Mark, I actually purchased a system based on this review from what information you got from GCL, I have been left very underwhelmed. I installed a 5.6kWh GCL and Goodwe GW5048D-ES. I can only get 3.5kWh out of it. One Stop Warehouse tells me this is normal and I shouldn't expect more. There are a couple of reasons why it is so low. First, the GCL battery's BMS only allows the battery to be discharged to 80% of its nominal 5.6kWh. Second, the Goodwe inverter can only charge to 60V when the battery needs 63V for 100% charge, so the maximum capacity it can reach is 95%. Third, the inverter efficiency when powered from the battery appears to be only 83% with a 540W constant load. I have an issue with this as the battery is advertised as having an internal capacity of 6.2kWh with a Depth of Discharge of 90%, implying 5.6kWh is accessible by the end user. First the useable capacity is reduced to 4.48kWh because of an undocumented limit on the DoD to 80%. When using an approved inverter 5% is lost because of charging voltage limits which leaves you with 4.2kWh. Then there is the apparent inefficiency of the inverter which only leaves 3.5kWh. I would recommend that people take note of the manufacturer imposed limits on this battery and compare with other products accordingly. Hi Dave, GCL contacted me about this blog. Yesterday they send me an updated warranty document. It really does not look any better. Fine if they say that it is 7.2kW, but their warranty document says it is 5.4 and 80 percent DOD. In fact, the updated warranty DOC removed the 100 percent DOD line from the graph. I've replied to their email and will update this blog when i know more. At the moment, there is very little to update.